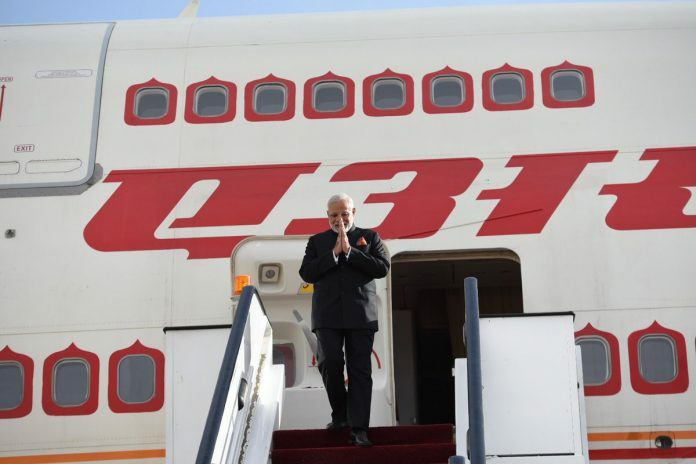 Modi’s historic visit to Palestine indicates that India supports the two-state solution. But will any leader come out openly and say it? Many such invitations have been offered. Palestinian President Mahmoud Abbas has visited India five times since he came to power in 2005. Finally, an Indian PM is coming to visit. It is historic for Narendra Modi to be the first-ever Indian Prime Minister to make an official visit to Palestine (Jawaharlal Nehru had stopped over in Gaza in 1960). Modi’s visit to Israel last July was also historic. But coming to Palestine within a few months is aimed at seeking and establishing balance, and dealing with the Palestinian people as equals to the Israelis. India, since the beginning of the controversial dispute and conflict on the land of Palestine, is supportive of our right to exist and establish our statehood. The unforgettable stands of Mahatma Gandhi as well India’s first Prime Minister Jawaharlal Nehru have been carved well in the collective Palestinian mind. We are also aware about India’s historical political stand in the UN general assembly in December 2017, where New Delhi clearly stood with 128 countries to say ‘no’ to the US President declaring Jerusalem as the sole capital of Israel. Politically speaking, such an independent and sovereign position indicates that India is with the two-state solution on the issue of Palestine. True, India’s Modi is in a sort of “bromance” relationship with Israeli PM Benjamin Netanyahu of the Likud hardline party. Modi’s politics is different from the Congress party’s, but still, Palestinians trust India as the land that is the mother of all Indians (Muslims and Hindus), irrespective of who is in charge in the Prime Minister’s Office. Similar words, I guess, will be heard from Modi this time in Palestine. Though politically, nothing more is expected to be offered to us beyond what has already been offered at different international forums, we will still wait to hear an international figure say: “We are with a two-state solution, based on negotiations.” Furthermore, that man will offer us some health, education, information technologies, capacity-building and skill development packages. Of course, we need all that as ‘unfree’ people who are still under military occupation. But I can say on behalf of my people that what we need from emerging giants like India and China is more than aid – particularly after US President Donald Trump shamelessly and boldly made it clear that America stands with Israel and the Jewish people. Modi’s visit is most welcome for Palestinians, but I view such visits in the context of the political and economic challenges Modi and his BJP government are facing domestically. I also see this visit in the context of a clear-cut and emerging axis in the sphere of energy, security and defence, in particular after Trump’s declaration of Jerusalem as the united capital for Israel. Pakistan is being punished by the US for standing with Palestine; monetary aid given to it was cut. A cornered Pakistan has been pushed directly or indirectly into the lap of China. Beijing is already in an axis with Russia, Turkey (post coup), and the Islamic Republic of Iran. In such a complex scenario, I see India’s Modi is in need of America, Israel, and the so-called “moderate Arabs” (Egyptians, Saudis, UAE, Omanis, and Jordanians). And for that, he has to walk in the land of Palestine. West Asia, for India, is not a question of “extended neighborhood”. Rather, it is a strategic issue for the for India’s national security. The Arabian Sea, the Red Sea as well the Mediterranean Sea are crucial strategic maritime arenas for India. Especially, if we know that China has already reserved her military space in Djibouti of the Red Sea as well as keeping an eye on Karachi and Gwadar ports on the Arabian Sea; a mega strategic project (the China-Pakistan Economic Corridor) that will connect southern Pakistan with China’s western Xinjiang region. For that, I see India has to play the Israeli card to wink at America and the West. And it has to play the Palestine card to wink at the Arabs, if there are any Arabs left. Wael Mustafa Abuhasan, is professor at the Arab American University of Palestine in Jenin. He has studied international relations and geopolitics from James Fergusson College of the Deccan Education Society, and sociology and psychology from Pune and Aligarh.